One of the world’s largest computer makers, Acer is now introducing their tablet mobile to India called Acer Iconis A500. It was launched in CES Customer Electronics Show held in Las Vegas. It is due to be launched in the nation in the mid 2011 and the price of this tablet PC is not yet released. The Acer and Verizon Wireless has announced the launch of this tablet- Acer Iconis A500. It is running on a Nikia Tegra 2 dual core processor with 1 GHz processing speed. The system has got a very stunning display with its 10 inch capacitive screen. The system is capable of providing Verizon’s latest 4G based service providing and the Acer’s user interface 4.5 along with the Android operating system enables it to be used along with the user’s choice. There is an extra feature added in the system, which is a clear.fi media sharing system. It is a default feature that got added in to the system to do the data sharing on to various devices. Acer Iconis A500 also got an HDMI port that enables to connect and view the data in a television screen too or a computer with graphics card. The other connectivity options available are a 136.3 mm profile, a 1080p output. It is also having a ZTE wireless module for enabling the LTE and Flash 1.01 compatibility. According to the company officials, the Acer Iconis A500 is a game oriented tablet PC which is meant for those who are playing high definition games and also other 3D games that require very large graphics top run. So it is sure that the Iconis A500 is targeting the gamers and others multimedia lovers. It also supports gyro as well as 10 point multi touch so that the windows can be zoomed in or zoomed out according to your wishes. The company hopes to get a big sales result in India as the world is totally behind the tablet PCs nowadays. 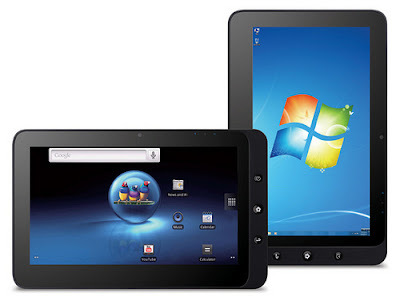 The tablet PC been so easy to use and it is light weight compared to that of the laptops or the notebook PCs. Also they are very much power efficient also. This is the reason why the popularity of the tablet PCs is rising steadily. Moreover, Acer being a favorite brand in the Asian countries, they are hoping to get good results in the tablet PC segment too by competing with the other favorites, Apple, LG, Samsung series of tablet PC brands. The first picture is of the ViewSonic "cant you see that it is two completely different machines on the first and the second image" "and the first even have the logo of ViewSonic on the screen"
Thanks very good image. I have already a galaxy tab however it is looking nice.